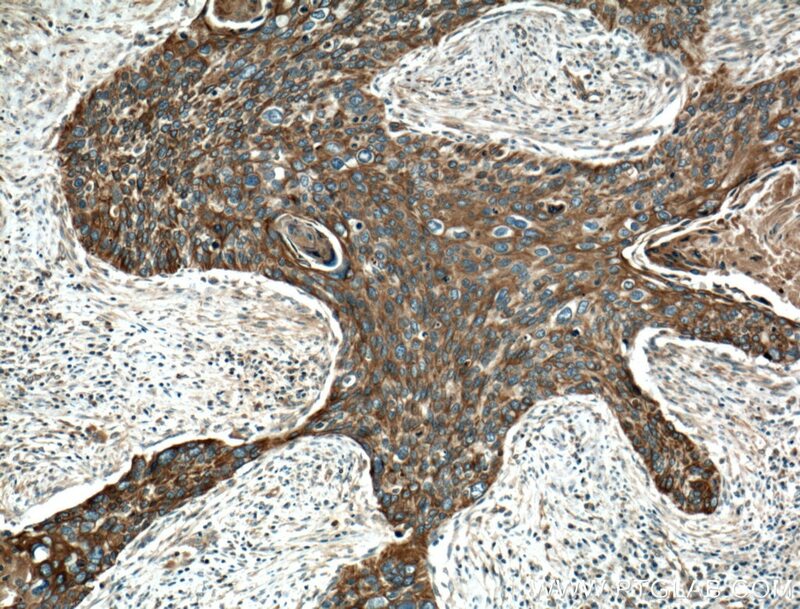 Immunohistochemical analysis of paraffin-embedded human cervical cancer tissue slide using 16572-1-AP( Cytokeratin 4 antibody at dilution of 1:200 (under 10x lens). heat mediated antigen retrieved with Tris-EDTA buffer(pH9). 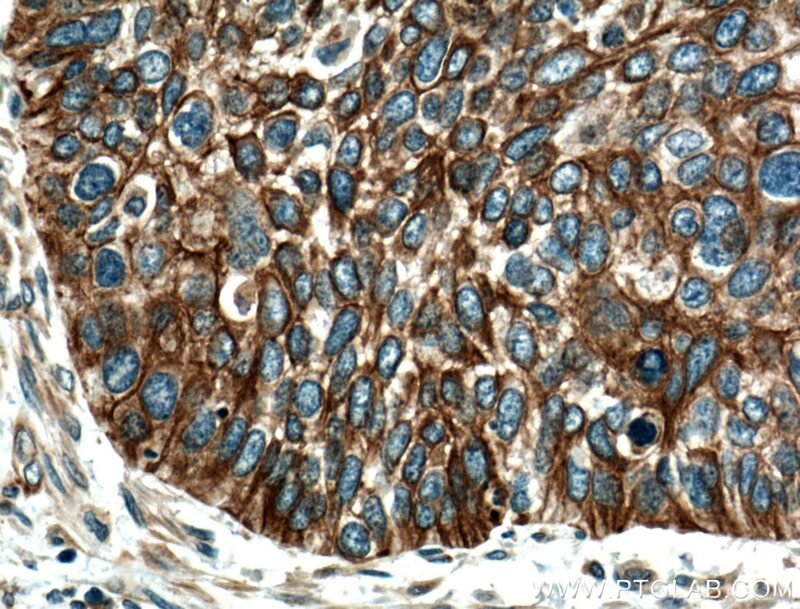 Immunohistochemical analysis of paraffin-embedded human cervical cancer tissue slide using 16572-1-AP( Cytokeratin 4 antibody at dilution of 1:200 (under 40x lens). heat mediated antigen retrieved with Tris-EDTA buffer(pH9). Keratins are a large family of proteins that form the intermediate filament cytoskeleton of epithelial cells, which are classified into two major sequence types. 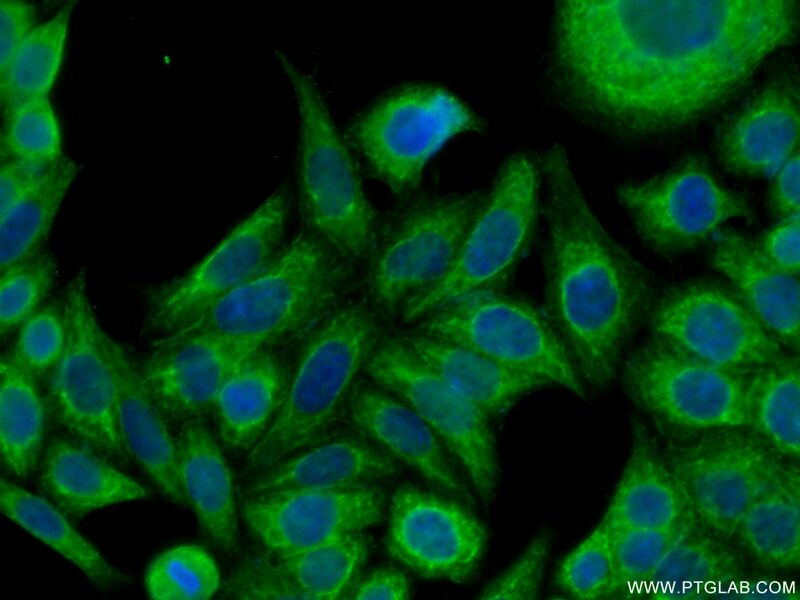 Type I keratins are a group of acidic intermediate filament proteins, including K9–K23, and the hair keratins Ha1–Ha8. Type II keratins are the basic or neutral courterparts to the acidic type I keratins, including K1–K8, and the hair keratins, Hb1–Hb6. Keratin 4 is a type II cytokeratins. It is specifically found in differentiated layers of the mucosal and esophageal epithelia together with keratin 13.